as a female who loves to travel, your sister's disappearance has touched me hugely. i contributed to your trust fund, wish there was more i could do to help. i dearly hope your sister will be found safe and soon. don't give up hope. Maybe we could assign one name from the guest list to each person that wanted to help look, that way no names will get missed and no name will be searched twice. There are lots of name directory's for each country. Hey, I've been following your story. This is really heartbreaking. I have a suggestion -- it might be helpful if you make a new post for each update, instead of editing the old post. That way the people who have added you as a friend can see the new info on their friends page instead of having to come here to see updates. 1) When I started, I didn't expect a single post and update would turn into what it has, so I didn't plan ahead too well. Having started with this method and provided a very specific link (this entry only) to many, many websites and posters, I can't change the link without confusing people - even a simple "Now Go Here" link on the former posting page would lose some readers. 2) The forums would be spread out over dozens of updates, so people wouldn't be able to read what has and hasn't been said before in one easy location. 3) Each entry would have to have the photo and specific details repeated (at least in the first month until we had the official website up). In essence, LiveJournal isn't the best mechanism for what we are now trying to accomplish, though it would have been much more suitable had I understood what I was getting into when I started and planned accordingly. And of the thousands of people who have read this page, only a few dozen have Live Journal accounts, so changing everything now wouldn't benefit enough people to be worth the effort and confusion. That being said, I'm often quite tempted as the "April 22nd" date on the main page confuses people, and each entry would load much faster if it were smaller and had fewer comments. I'm not sure if you know about it, I just found it myself. I read Yahoo news daily and never saw it on there till bringing up a Yahoo search engine (out of a bunch of Syrian search engines) and searching for "Vienneau" just to give it a shot. P.S. The spreadsheet info I sent you for Ms. Lu, many entries don't have telephone numbers. I've looked at the three that match the birthdate of 1950 and can't find telephone numbers for them online anywhere, unfortunately. :( I'm sorry. This is a copy of the Canadian Press article from a few weeks ago. It's sent out on the wire and news agencies across Canada (and apparently around the world) can pick up the stories and publish them. It's good to see that it was picked up by Yahoo - a bit more exposure never hurts. I have been following your quest to find your sister for the past two months. I checked over the Riad Hotel's guest list (Mar 31) and attempted to find a 'Kazaban' on Canada 411. The surname it seems does not exist anywhere in Canada But there is a "Kasaban" in Montreal. Perhaps worth a try. No updates for a couple days, hope everything is still okay. Dear Matt: Please kindly view your personal email, as I have sent a personal email regarding some type of support that may be time sensitive to your side that I would like to kindly assist with. Matt, thank you for posting the names of people from the hotels -- and for sharing each time someone has been located. This have given me insight into how I can personally help. If we all did this, I'm sure we'd find more people who may have seen Nicole that day. Oh, forgot to mention that the name I am searching for is Jessy Alexander, a Canadian. 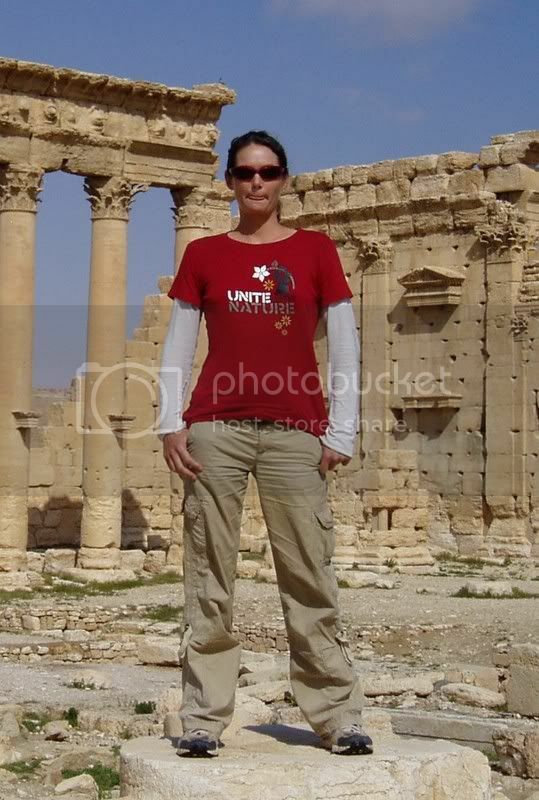 We are seeking to locate Jessy Alexander who stayed in the Riad Hotel in Hama, Syria on or about April 1, 2007. Born in Canada in 1980, resides in Canada, holds a Canadian passport. 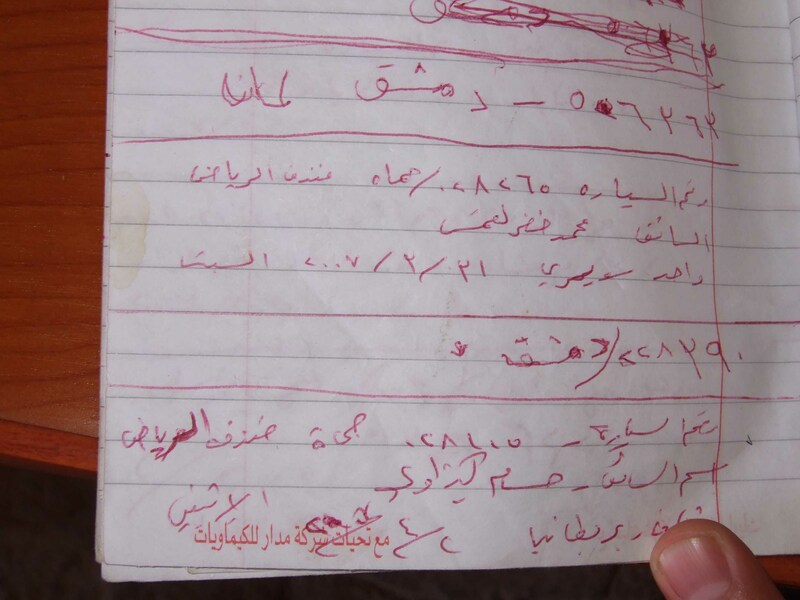 This is in relation to a missing persons case in Syria. Jessy stayed at the same hotel as Nicole Vienneau, the woman who has gone missing. Her family is anxious to speak with people she may have met in her travels, especially on the day she was last seen. Please feel free to send whatever you think needs translation. to Arabic, that's why I'm offering help. The Can you help is uploaded incorrectly and cannot be read. I have put your blog link and information on my Virtual Tourist page. We are number 18 on the site so it should generate some views. Don't bother responding, I know you are swamped. Just letting you know. Great job. I'm not sure why it doesn't show up when you search on "Vienneau". Search algorithms never seem to work right for me. Title: One million pounds to whoever finds young canadian woman Nicole. It is a strange case that never happened before in Syria. At the end of last March a young Canadian woman who's name is JNV disappeared. K.M, her mom, has come to Syria to look for her along with NV's fiancee G.S. and her husband B.M. Nicole was seen for the last time leaving a Hama hotel at 9:00 AM March 31. She planned a discovery trip around the area and left her belongings in the hotel but never came back in the evening. The mother, Katherine, whom Al-Watan met in the house of the Canadian ambassador on her way back from hama, in a trip in which she failed to find out the fate of her daughter said:" my daugher disappeared after she left the hotel on a trip to Qasar Wardan and the forgotten cities" and noted that the family is very close and that she "is" [was] in daily contact with her daughter by e-mail and weekly over the phone. She said that Nicole loved Syria in every way: the people, the food and all the places. She called onto the Syrian people to help her in her search for Nicole and if anyone saw her or her belongings:her hat, her camera, her bag and anything related to her to call the Canadian Embassy in Syria or the family. She noted that the Syrian people are very concerned about the case and that the authorities are taking it very seriously but that this matter needs more effort. She said:" I will return to Syria if need be"
Nicole's fiancee said: I came with Mathew, Nicole's brother 2 months ago but we were unsuccessful. We need everyone to help and we need more information for our search. He said the family is close and his relationship with her is strong. He said his fiancee did not leave Syria as indicated by the Turkish authorities (?). He noted Nicole's previous trips with her brother and his wife and indicated that she liked to travel and discover new things and loves history. He indicated that he was in a daily contact with her thru e-mail in which she told him abour her movements. Her mom noted that she sent her e-mail from Africa and the remote areas she travelled to to tell her: Mom I just wanted to tell you I am alive. Nicole wanted to visit Qasr Ibn Wardan east of Hama and near Ibn Wardan village that belongs to Al-Hamra district. Her mom noted that this is as indicated in her personal notes and that the family is not holding any information but what they know is limited. The mom repeated many times her request to Syrian people to help and indicated that Nicole's friends have designed a poster to be distributed to search for her and find her. There is also a website with pictures of Nicole and that the family is offering one million pounds to whoever finds her. I hope this helps. Glad to be of assistance and good luck. This is word for word translation.